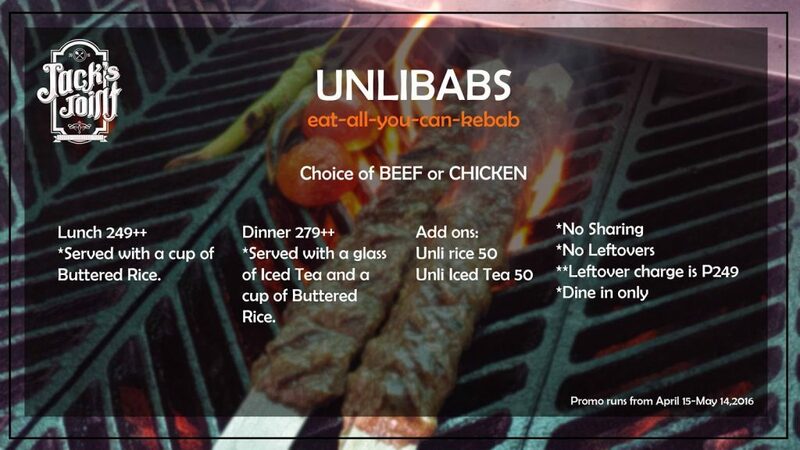 Hungry but on a budget? Good news! There are a bunch of promos that could solve that problem! If you are a fan of pasta or Papa John’s, then this promo is made for you! You also get two slices of pizza per order of unlimited pasta! Sweet!!! Chicken or pork lover? Then why don’t you indulge in a kebab or two? Or how about a hundred? 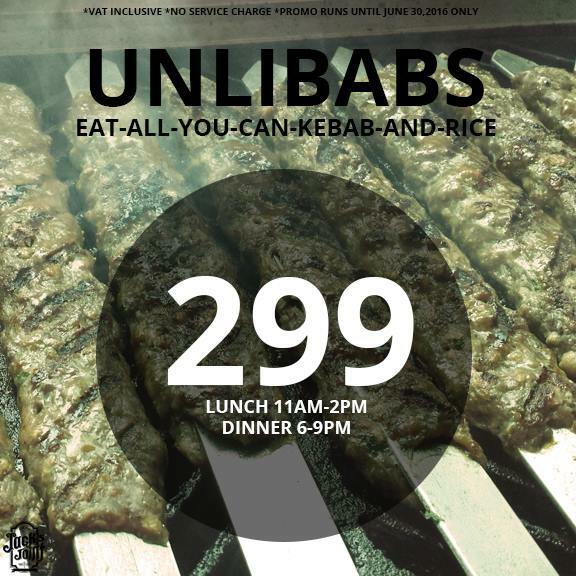 Yes, you can get it for less than PHP300! Don't mind the date. They announced that they extended the promo till end of June. You like more sophisticated dishes? 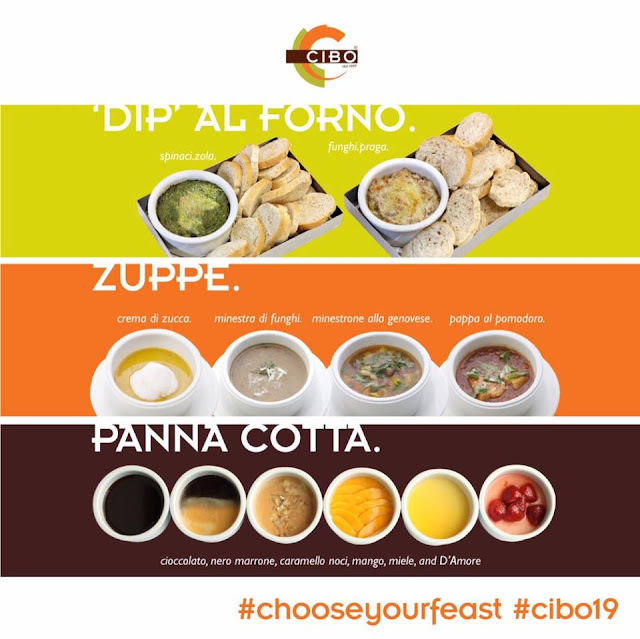 Cibo’s offer might be the one for you. This Cibo deal is available in its Shangri-La Plaza and Promenade, Greenhills branches. NOTE: Hurry! These awesome deals end tomorrow!! !